I get two Old Navy promotional emails per day. I haven’t hidden these behind Google’s Promotions tab because I like to see them—I mean, how else would I know that Old Navy was having a Long Weekend Sale (which they did not call a Columbus Day Sale, nice touch) with up to 50 percent off storewide, plus 35 percent off for online orders, plus a 10 percent off Double-Dip Deal? How would I decide that it was finally time to buy a few clothing items that had been on my list for a while, and then call it my successful financial move of the week? Except… I got another email from Old Navy this morning. Now they’re having a Thank You Sale, with a whole new set of coupons and discounts. THERE SHOULD BE A LIMIT ON BACK-TO-BACK SALES. I remember writing a Billfold piece on how you can’t call it a sale if you don’t ever bring things back to their regular prices! And I know that stores like Old Navy get away with it because they can run an “up to 50 percent off storewide” sale on Monday and a “50 percent off fall styles” sale on Wednesday. (Yes, that is what they actually did this week.) Technically, they’re two different sales. But it made me curious to see whether I really saved money by buying clothes on Monday instead of buying them today. So I made myself a new shopping cart and added the same six items: one pair of leggings, one sweatshirt, three layering tanks, and one black cardigan. On Monday, that cart of clothing cost me $85.13, including “up to 50 percent off storewide,” a 35 percent off promotion, a 10 percent off Double Dip Deal, and free shipping. Today, that same cart would cost me $82.64, including “50 percent off fall styles,” a 30 percent off promotion, and free shipping. 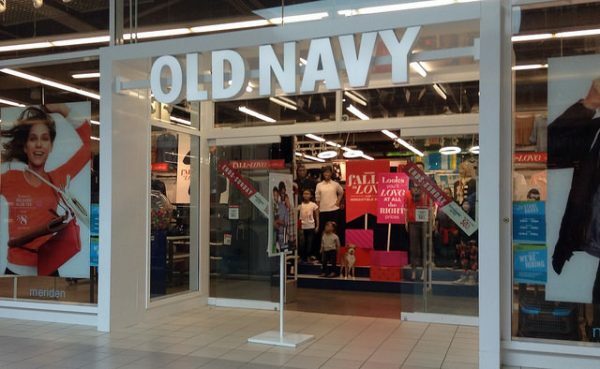 I am not very happy with Old Navy right now.